we are finally able to look at scheduling classes in our Print Shop! This beginners session is open to just six members, as space is limited. 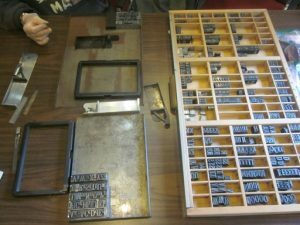 Learn to set type, manage a chase, ink the printer plate, and print a short quote. Note: This class requires contact with lead type. Appropriate precautionary measures are required.